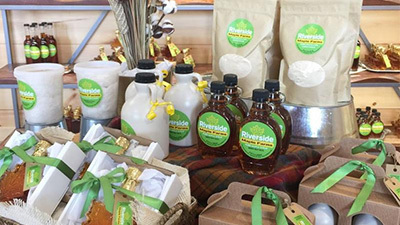 Ready to taste your way through Saratoga Springs' mineral springs? 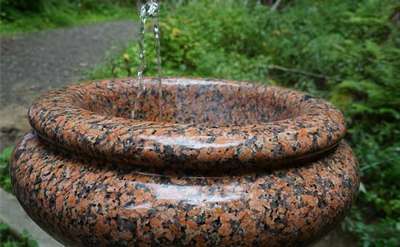 Here are a few tips and tricks that will help you as you "take the waters" at these natural springs, known across the world for their unique mineral properties. 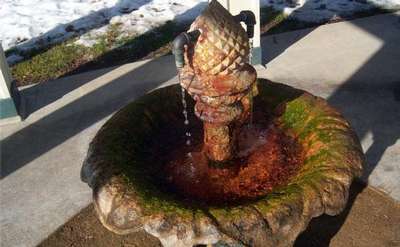 There are currently 21 public mineral springs in various locations throughout Saratoga. Most of the springs are naturally carbonated. No two springs taste exactly alike: each spring has its own distinct mineral makeup and resulting flavor profile. Purported health benefits (clearing skin, helping digestion, even strengthening blood!) vary from spring to spring. 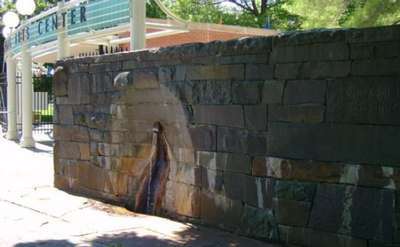 The springs are easily accessible, but be sure to bring your own cups or water bottles! We've highlighted each of the springs below so you can plan a trip to them and taste the waters. 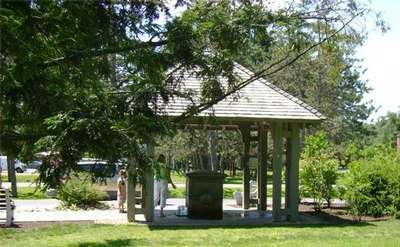 The Hayes Well Spring is located in the beautiful Saratoga State Park, right next to the Geyser Island Spouter in the Geyser Park area. Geyser Island Spouter is located right off of Geyser Loop Road at the Geyser Park in Saratoga Spa State Park, surrounded by an island of hardened minerals. The Coesa Spouter is a hidden gem in the woods of Saratoga Spa State Park. 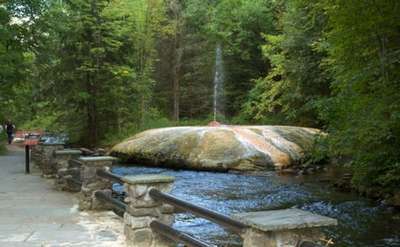 Orenda Spring is located in Saratoga Spa State Park. The Park's 2.9-mile Geyser Trail will take you past Orenda and two other springs (Island Spouter and Hayes). 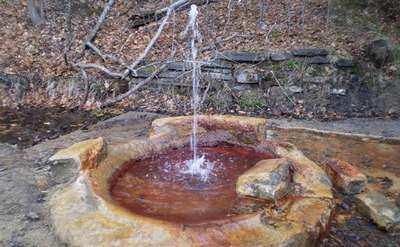 The High Rock Spring is located across Maple Avenue from The Olde Bryan Inn. 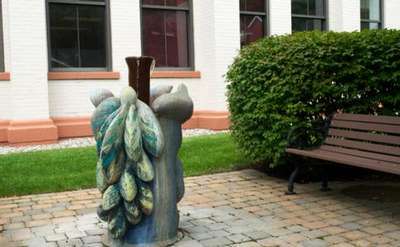 Located near the Hall of Springs entrance to the Saratoga performing Arts Center. 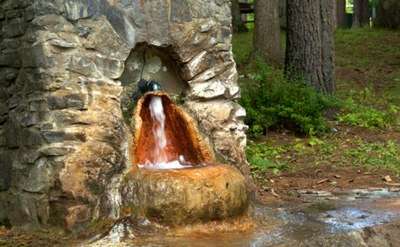 Old Red Spring is located on High Rock Avenue past Empire Spring, in the beautiful Saratoga Springs. Congress Spring is located directly underneath the covered pavilion in Congress Park. 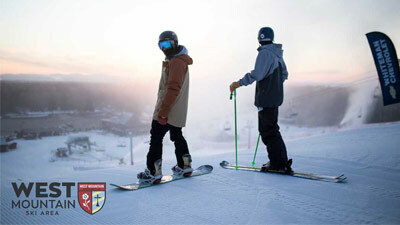 The park is found in the heart of Saratoga Springs NY off of Broadway, Circular Street and Spring Street. 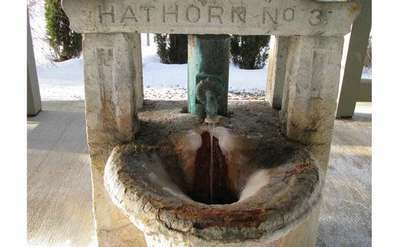 Hathorn Spring No. 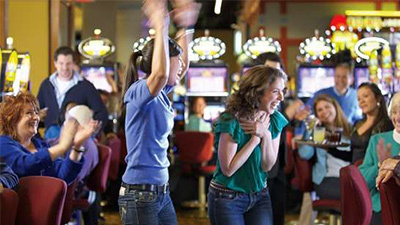 1 is located on the Northeast corner of Putnam and Springs Streets, right in the heart of Saratoga Springs. 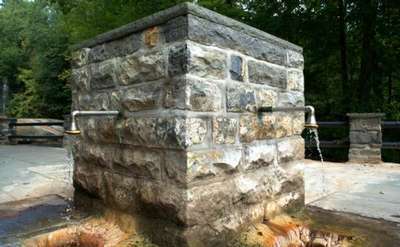 The Governor Spring is located on High Rock Avenue, right next to the Peerless Spring and across from the High Rock Spring. Located on Excelsior Avenue in the restored Van Raalte knitting mill. Located at the rear of the rectangular stone column under the Joseph Bruno Pavilion. In Congress Park near Broadway, at the green and white cast iron monument. 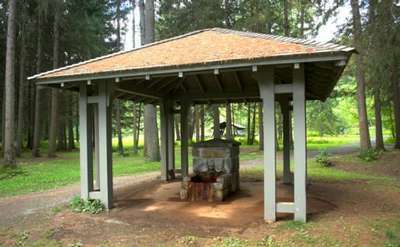 Ferndell Spring can be found on the Ferndell Trail, accessed from the North-South Road in Saratoga Spa State Park. Karista Spring has one of the strongest iron-rich waters in the world. Karista Spring was renovated in 2012 and the soils are said to help with arthritis. Karista Spring is located in the Geyser Park in Saratoga State Park. 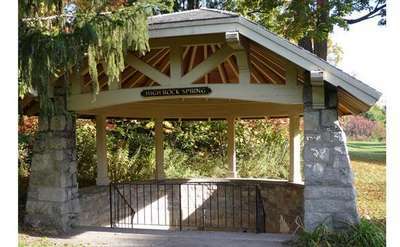 Hathorn Spring is located in the beautiful Saratoga Spa State Park. Peerless Spring is located in High Rock Park, across from High Rock Spring. 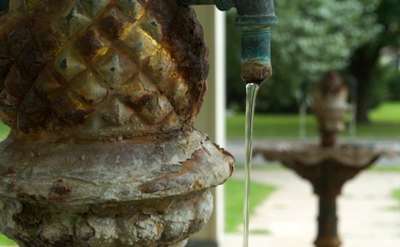 Columbian Spring is located in the heart of Saratoga Springs near Congress Street at Broadway Avenue. State Seal Spring is located on the Avenue of the Pines, under the Joseph Bruno Pavilion. 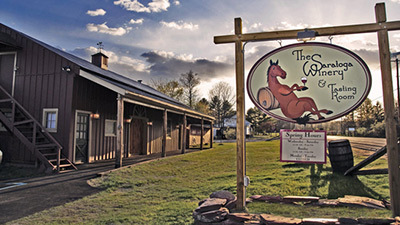 Located in the middle of Saratoga Spa State Park, right off of Geyser Loop Road. The Big Red Spring burbles, from the ground, near the paddock at the back, of the picnic area, of the Saratoga Race Track.